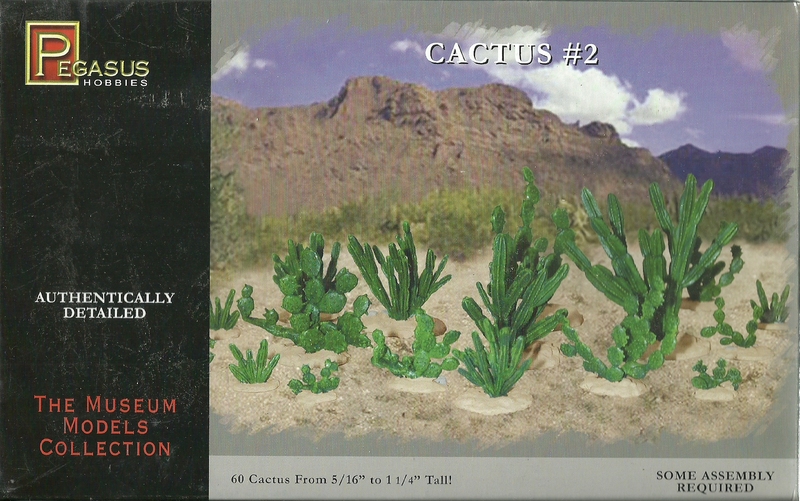 The kit comprises 118 parts to make 60 small cactus plants moulded in green plastic. The cactus vary in height from 5/16" to 1.25" tall (approx 9mm to 33mm in height) to provide a nice collection of desert foliage. This kit is a superb addition for the wargamer or diorama modeller with superb attention to detail. Would also be suitable for other scales.